US Lacrosse Approves Box Lacrosse Rules! Based on the performance of V3 Lacrosse 2024 at US Lacrosse Nationals Qualifying events throughout 2017-18, we can now be certain that V3 Lacrosse 2024 has earned enough qualifying points to earn a bid to the 2018 US Lacrosse Nationals Tournament for the Boys 12U Division! V3 Lacrosse 2024 is one of the first teams to qualify for Nationals under this exciting new format and your invitation to register will follow in a separate email. As an earlier qualifier, the V3 Lacrosse 2024 team has a very good chance to compete for the overall US Lacrosse National Championship in the Boys 12U Division. 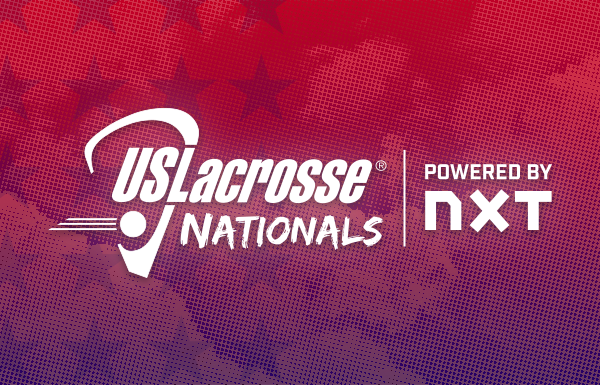 To review, the 10th annual US Lacrosse Nationals, powered by NXT, will bring together the top boys and girls teams from across the country for four days of high-level competition in a fun atmosphere at the DE Turf Sports Complex in Frederica, DE. For the first time this year, teams cannot simply register for Nationals, they MUST qualify by earning points at qualifying events throughout the year. Qualifications standings have been automatically updated and calculated during the year by Sports Illustrated Play’s Tourney Machine Platform. Sixteen teams will qualify in each division of play. You will be receiving a separate email from the LeagueApps registration platform within the next 24 hours inviting you to register and providing you with a non-public registration link. Additional information about the event is included in this email. Full hotel and roster collection information will follow once you accept your invitation. All age verification information can be found at the US Lacrosse Nationals GUIDELINES page. Once you have accepted your invitation, your teams can book their hotels with the hotel link below. If you have any questions, please don’t hesitate to reach out to me at ryan@nxtsports.com or call (610) 632-4077. Something we have been hoping for has occured! US Lacrosse has endorsed Box Lacrosse and established approved rules and now covers insurance for Box Lacrosse players, coaches and officials! US Lacrosse today announced a new set of standardized rules to govern indoor box lacrosse for both men and women at all levels of play from ages 6U and above. These approved rules, which are effective immediately, are the result of a collaborative effort during which time US Lacrosse gathered input from many other national and international box lacrosse organizations and stakeholders. US Lacrosse insurance coverage for members now extends to participation in box lacrosse played under rule sets approved by US Lacrosse. Leagues, players, coaches, and officials are covered by this member insurance at no additional charge. Box lacrosse leagues may contact their US Lacrosse regional manager for additional details. US Lacrosse engaged multiple partners in the development of the new rules. A task force was established to survey existing organizations that promote box lacrosse and to identify the major rule sets currently in existence. These include rules that govern play for the National Lacrosse League (NLL), Federation of International Lacrosse (FIL), Canadian Lacrosse Association (CLA), US Box Lacrosse Association (USBOXLA), and American Indoor Lacrosse Association (AILA), among others. For all players that hope to get a shot at playing NCAA Division I lacrosse there are some some important recommended rule changes coming up for a vote on January 19th. The most significant is that NCAA program will be allowed to make initial contact on July 1st following a players sophomore year - a full year earlier. 13-2, which will allow off-campus contact with recruits beginning the first day of junior year in high school and communication with recruits on or after July 1 after the completion of the recruit’s sophomore year in high school. 13-5-A, which would eliminate restrictions on sending printed recruiting materials to recruits.